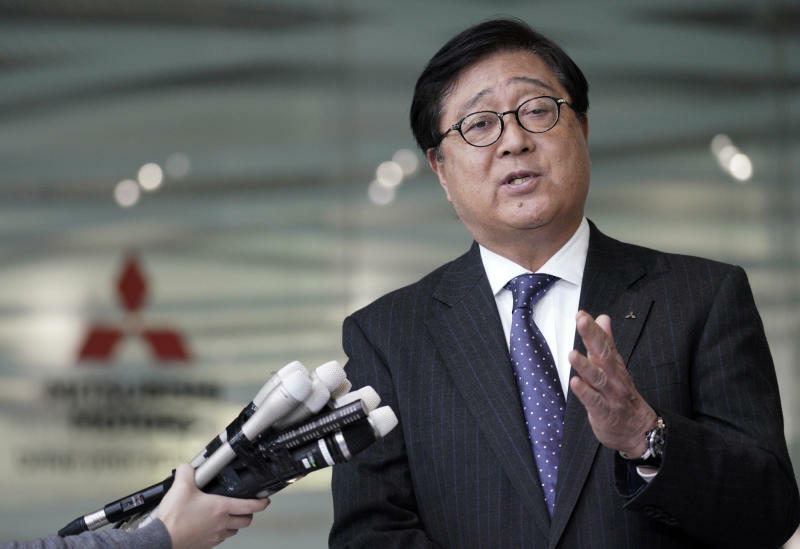 TOKYO (AP) — Mitsubishi Motors held a board meeting Friday to examine the latest allegations of unreported compensation against Carlos Ghosn, who led Nissan for two decades and forged the alliance between the Japanese automakers. The allegations center around a 7.8 million euro ($8.8 million) payment made to Ghosn last year by a 50-50 venture between Nissan Motor Co. and Mitsubishi Motors Corp., set up in 2017 in Amsterdam, and only Ghosn and a handful of aides knew about the money, Mitsubishi Chief Executive Osamu Masuko told reporters after the meeting. The payments surfaced as a result of investigations by Nissan and Mitsubishi, which began last year. Nissan also announced similar findings in a release. There have been no formal charges on the latest allegations. Masuko and Nissan Chief Executive Hiroto Saikawa were directors at the joint venture called NMBV, in addition to Ghosn. But they both didn't know about the payments, and received no payments from the joint venture, according to the companies. Masuko said he thought the purpose of the joint venture was to explore "synergies" between Nissan and Mitsubishi. He stressed he found out only afterward how it had been used to make what he called "dubious" payments to Ghosn. 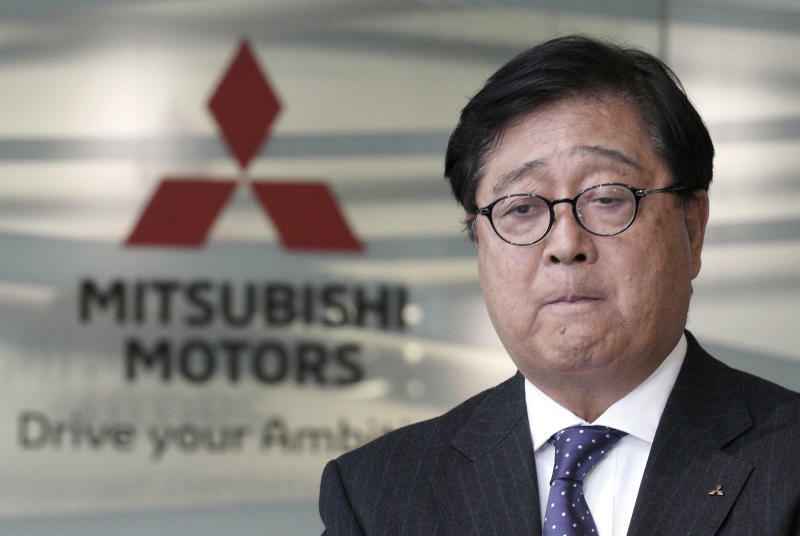 The money paid was categorized as salaries and bonuses, according to Kei Umebayashi, a lawyer who was part of Mitsubishi's investigation. 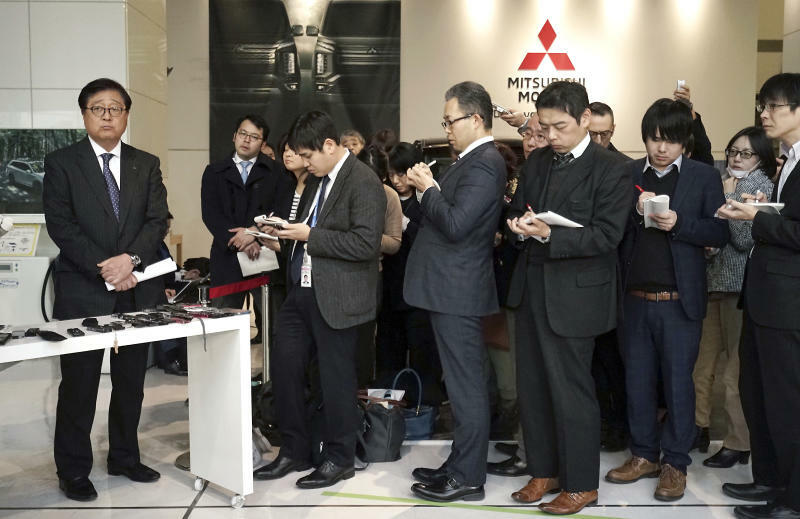 "If I can say how I feel, I am truly sad," Masuko told reporters at a Tokyo showroom, saying he was stunned by the news of Ghosn's arrest. Ghosn, 64, held in detention since his Nov. 19 arrest, has been charged with falsifying financial reports in underreporting his compensation from Nissan, and with breach of trust in having Nissan shoulder personal investment losses and pay a Saudi businessman. Ghosn asserted his innocence in a courtroom appearance earlier this month, saying the compensation was never decided, Nissan never suffered losses and the pay was for legitimate services in the Gulf region. Nissan's alliance with Mitsubishi was set up in 2016. Mitsubishi dismissed Ghosn as its chairman shortly after his arrest. Nissan is also allied with Renault SA of France, which owns 43 percent of Nissan. Ghosn's salary was long a sticking point at Nissan. Executives at Japanese companies are paid far less than their American and other Western counterparts. Ghosn has repeatedly expressed his view that he was entitled to income comparable to those of executives at other top global automakers. Renault has said no wrongdoing has been found with its payments to Ghosn, who also heads Renault. According to Nissan's investigation, millions of dollars of Nissan's funds were used to purchase Ghosn's homes in Rio de Janeiro, Beirut and Paris. The homes are not part of any formal charges, and the source close to him and his family say they were needed for security reasons. His home in Lebanon was purchased in 2012, for $9.5 million and renovated at a cost of $7.2 million, and the purchase went through an Amsterdam-based Nissan subsidiary and so the board didn't know, according to Nissan's probe. The company investigation has also disclosed emails, reviewed recently by reporters including The Associated Press, that show an invoice for expensive chandeliers for the Lebanon home, and Ghosn asking to hurry with delayed payments to interior decorators. Ghosn freely used company emails for such correspondence, making little effort to hide them. Nissan still owns the homes. Also Friday, Ghosn's lawyers filed a second request for his release on bail from the Tokyo Detention Center. The first request was rejected on Thursday. Ghosn's chief lawyer Motonari Ohtsuru told reporters his client could be detained for half a year or longer because his trial is complex. If convicted of breach of trust and falsifying financial reports, he could end up with a maximum penalty of 15 years in prison. Saikawa has denounced Ghosn as "the mastermind" behind schemes to use company money and assets for personal gain. "Nissan views the payments Ghosn received from NMBV to be the result of misconduct and will consider measures to recover from Ghosn the full sum," the company said in a statement.